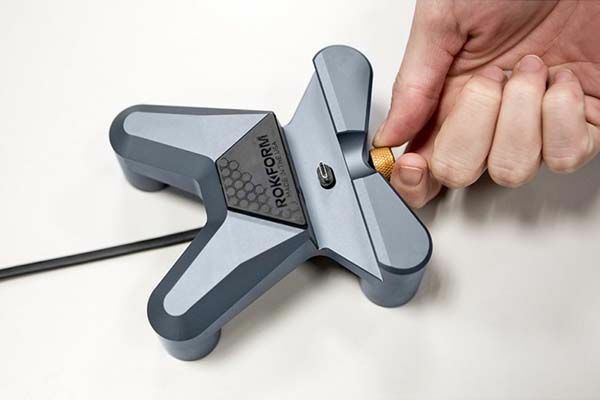 With its weighted construction, Rokform’s latest aluminum docking station steadily keeps your iPhone 6s/6 Plus on the desk for charging or syncing, and the sleek and unique design allows it to decently works with your iPhone. 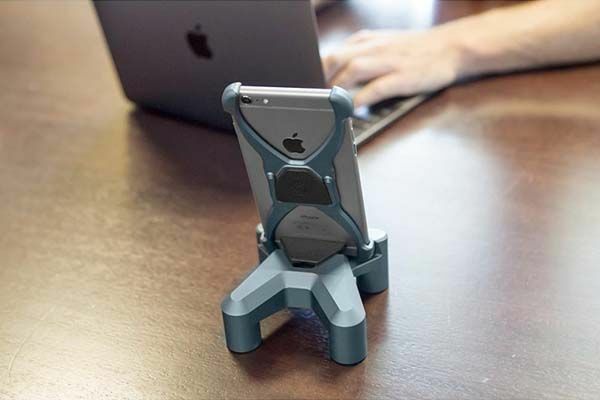 The Predator is a premium and functional charging station designed for iPhone 6s/6 Plus. The iPhone dock measures 103 x 99.9 x 89.6mm, weights 185g, and as we can see from the images, the Predator looks like a metal creature with four legs that is waiting for its prey, and its whole body is CNC machined from aircraft grade 6061-T6 aluminum and comes in three anodized colors in order to deliver you a premium and durable construction and match different senses of style, meanwhile, the metal knob adds more aesthetics to the aluminum dock. The docking station comes with a custom Lightning cable that perfectly works with the Predator, and using the knob, you can also accurately adjust the length of the cable that goes through the custom hole of the dock, which ensures it supports various iPhone cases. Moreover, an adjustable rubber insert prevents your phone from contacting the metal surface during charging or syncing. 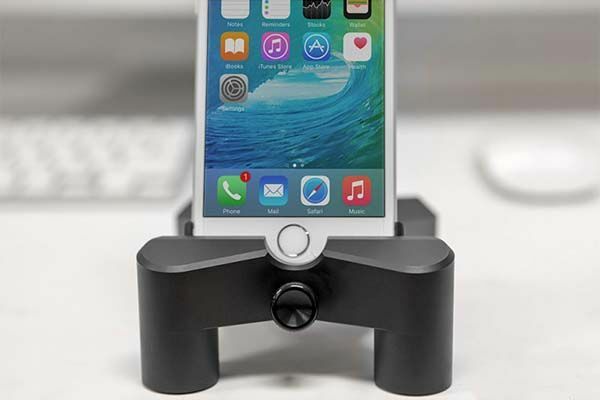 In addition, its microsuction pads and weighted design allow the dock to firmly grip on your desk for security, and you can also easily undock your phone with one hand. The Predator charging station is priced at $99.99 USD. If you’re interested, jump to Rokform for its more details. Additionally, also don’t miss the wooden charging station and more related cool stuff by following tags.